The implication of that poetic quote is that individuals must dredge up untapped reserves of resilience and fortitude when facing a seemingly insurmountable obstacle. Retired Sgt. 1st Class Omar Delgado is one such person. The CASCOM Future Systems Integration Division employee recently climbed the highest mountain in the contiguous United States with group of 11 veterans and three guides on 9/11. The 46-year-old's mission is to "push the limits" of his abilities and encourage disabled veterans to free themselves from the adverse adjectives others sometime choose to define them. "I want to show the veteran community that you can still do stuff," said the Laredo, Texas, native. "You can still get out there and accomplish things you don't think you can." His message is to embrace endeavors great, small or otherwise. It includes doing something as relaxing as indulging in a new hobby or as strenuous as running a 5K. "My hope is to inspire other veterans to get off their sofas and say, 'I can walk five minutes; then I can walk an hour, and then I can run an hour,'" Delgado observed. "It's about pushing the boundaries further out and breaking the mental barriers they have." The Transportation Corps veteran freely disclosed he has post-traumatic stress disorder and has hitched a ride on a journey of self-discovery and healing since retiring from the Army in 2012. His informal treatment program includes realizing a productive and meaningful life partly based on the gratitude he feels having survived three deployments, including hitches in Baghdad's Green Zone in 2005-2006 and Joint Base Balad a little north of Iraq's capital city from 2008-2009. 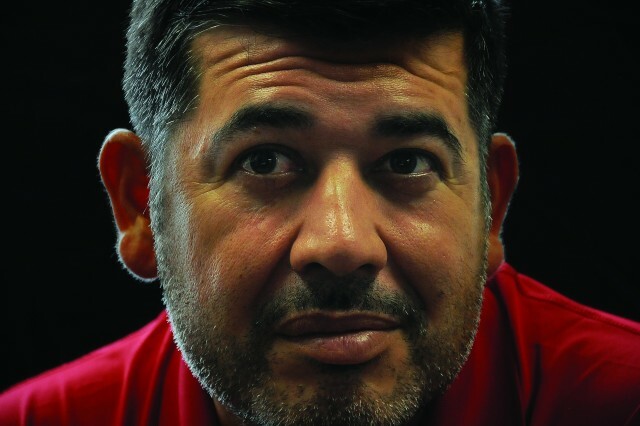 Delgado's Iraqi tours were marked with dangerous and threatening events and required prolonged periods of heightened alert that crushed his sense of normalcy. The transition period following his last deployment was a battle unto itself. "It took me probably two years," he recalled of his adjustment period following his return to the states. "That was just being able to get out into the community and look at my surroundings with someone else's eyes." Delgado's initial response to a life removed from deployment was invincibility tinged with a need to slow the rushes of adrenaline. He was possessed with checking off a post-deployment bucket list. "I felt kind of like Superman," he said. "I did three deployments and nothing happened, so I had to take advantage of my life and achieve something. There's only one life you get, so you have to go out and get what you want." Several years hence, Delgado is still swiping off accomplishments. He has gone on to physically exert himself to the tune of shedding 40 pounds and taking on the battle of distance running accented by feats like completing full marathons on two consecutive days, he said. Climbing Central California's Mount Whitney was not on Delgado's mental list of hoped-for achievements. He was unexpectedly nominated to participate by the expedition's sponsor, No Barriers Warrior, an organization that "improves the lives of veterans with disabilities through curriculum-based experiences in challenging environments," according to its website. 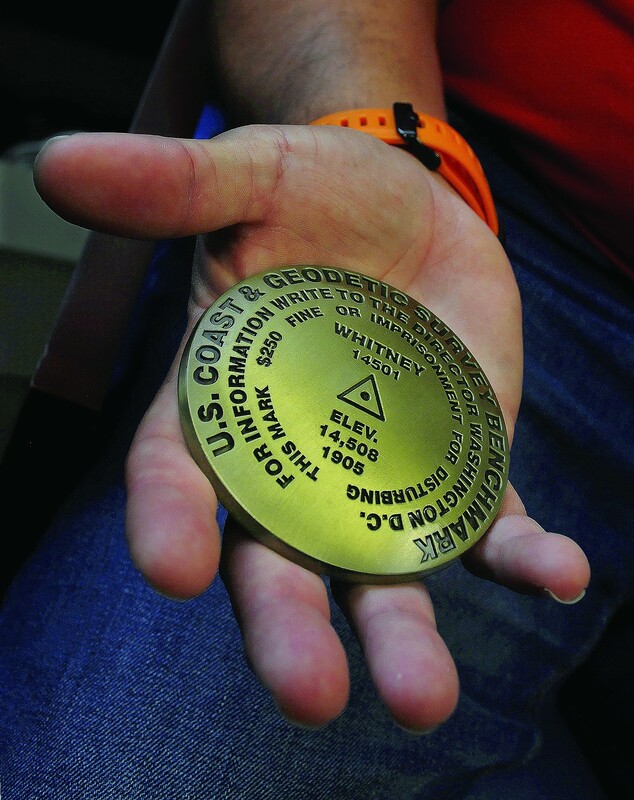 The group of 15 began their journey Sept. 8 and summitted the peak Sept. 11. Delgado said Whitney's summit -- a little more than two miles skyward -- required the team to walk more than 20 miles over weaving mountain paths to reach the top. When they finally conquered the peak, the climbers were exhausted but filled with achievement just the same. A reflective Delgado said it was revelatory for him as well. "The sun was out on the top of Mount Whitney, but you can say I found a new light up there. It was a realization to cherish my family and the time with them a little bit more, and to be more patient with them," said the husband and father of one teen and two adult children. "My experiences are still stripping away those military walls that were built throughout my 20 years." Gone is his active-duty perspective that a bit of time here and there with family was sufficient. 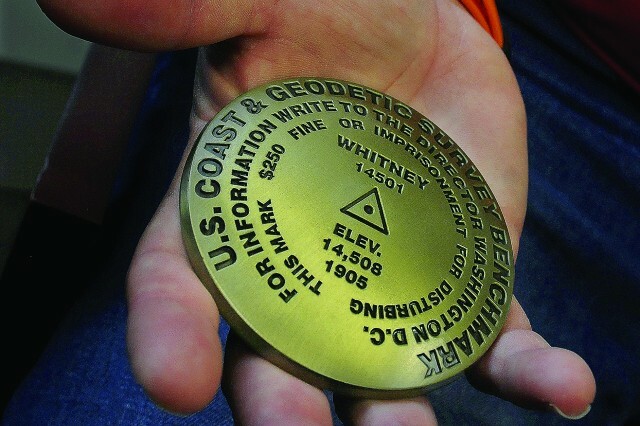 Any last inklings of that belief were debunked and further clarified at the summit of Mount Whitney. "I felt that every now and then if I popped up at a school function they'd be OK with that," said Delgado. "I thought I was doing enough. Now, I realize it wasn't enough." Further to the point, Delgado's youngest, Bianca, had slipped into his backpack a note of encouragement that made him think of his familial relationships more so, he said. "She wrote, 'When you get to the top, just remember all the people who perished during 9/11 who will never summit the mountain.'" The message stayed with Delgado from the base camp to his ascent up the mountain and beyond. He was struck by the maturity and sensitivity of someone who was not alive on that tragic day in 2001. Furthermore, it generated a measure of fatherly pride, inspiring him to make family a more integral part of his treatment program -- he intends to include them in a Richmond 10K event next year, all according to his plan to "live a more fulfilling life." Delgado's newfound commitment to family and ongoing support for his "brothers and sisters in arms" form the nucleus of his aims to lead a more fruitful existence. Concerning the latter, he plans to help them live out their lives with substance and meaning "before life gets taken away from us or our loved ones." "We have to embrace time and each other to push ourselves to reach summits -- whether it's a mountain, exam or degree," he summarized. "It's the only way communities grow, and veteran communities need to foster that growth." Retrospectively, Delgado said his resolute thoughts about family and veteran brotherhood occurred in a momentary stream of euphoria and crystal-clear thinking resulting from the symbolic act of standing atop a mountain. "It might have only been 20 or 30 seconds, but a lot can happen in that brief amount of time," he said. As when men and mountains meet.